US, Russia Edge Toward Showdown Over Syria - Integration Through Media ....! (VOA): When the U.S. fired Tomahawk missiles at a Syrian airfield a year ago after a chemical weapons attack, the Pentagon gave Moscow advance warning to get its personnel out of harm's way. Since then, U.S.-Russian relations have soured, and the two nuclear powers have raised the ante, getting dangerously close to a potential military clash in Syria. U.S. President Donald Trump has taunted Moscow to “get ready” for “nice and new and 'smart”' missiles coming to punish Syria for a purported chemical attack on Saturday that killed at least 40 people. The tweet followed Russia's warning that it will strike at incoming U.S. missiles and their launch platforms. The defiant posture leaves both the White House and the Kremlin with fewer options to respond without losing face. Some say the U.S. could launch a limited strike like it did in April 2017, when it hit Syria's Shayrat airfield with cruise missiles after warning Russia. Such a scenario would allow Washington to claim it made good on its promise to punish Syrian President Bashar al-Assad without triggering a clash with Russia. A pinpoint U.S. strike on Syrian targets that does not harm Russian personnel “will allow Trump to say that the Assad regime has paid a heavy price … and Russia, in its turn, will be able to limit itself to ringing statements,” said Fyodor Lukyanov, the head of the Council for Foreign and Defense Policies, an association of top Russian political and security experts. He added, however, that the U.S. would be unlikely to warn Russia of the coming strike this time. “The context of the relations has changed radically in the past year: We're in a state of a real and tangible Cold War,” Lukyanov said. 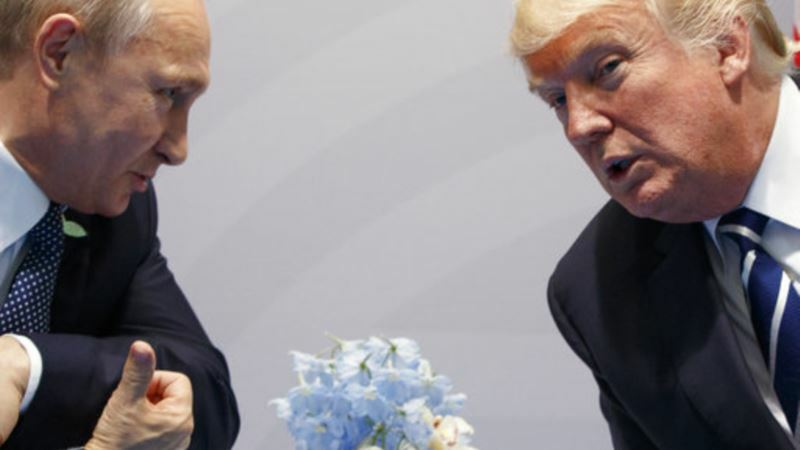 Moscow's hopes of warmer ties with Washington under Trump have been shattered by the ongoing U.S. investigations of alleged Russian interference in the 2016 election and its potential ties with the Trump campaign. The Trump administration has ramped up sanctions against Russia and expelled dozens of diplomats. Tensions between the two countries have escalated on a broad range of issues — from the crisis in Ukraine to the war in Syria to the poisoning of an ex-Russian spy in Britain, which triggered the massive diplomatic war. Opinions vary about what may happen in Syria. Washington and Moscow both have said that a hotline established in 2015 to prevent incidents between their militaries in Syria has worked well, but the rising stakes make the situation more unstable than ever during the Syrian conflict. Under one possible scenario, Russia may try to use its sophisticated electronic warfare systems deployed in Syria to make U.S. missiles veer off course without shooting them down. If that softer option doesn't work, the Russian military could use an array of its state-of-the-art air defense assets in Syria to target the U.S. cruise missiles or drones. An even more threatening situation may evolve if the U.S. and its allies use manned aircraft, and the Russian strike results in casualties. Such a scenario could trigger a quick escalation, leaving Russia and the U.S. on the brink of a full-scale conflict — a situation unseen even during the darkest moments of the Cold War. Retired Lt. Gen. Yevgeny Buzhinsky, the former chief of the Russian Defense Ministry's international department, warned that Russia has thousands of military advisers in Syria “practically in every battalion,” and a strike on any Syrian facility could jeopardize their lives. He warned that Russia and the U.S. will quickly find themselves in a major conflict if they allow a collision in Syria to happen. Andrei Klimov, the head of an upper house committee that investigates foreign meddling in Russian affairs, proudly said on the top talk show on Russian state TV that his relative, a Soviet pilot, won a medal for combat duty in Vietnam. Klimov pointed to heavy U.S. losses from Soviet missiles and jets in Vietnam, adding that Russia stands ready to counter any possible U.S. strike. Unlike the Vietnam War, where Soviet advisers helping North Vietnam supposedly weren't directly engaged in combat, the potential clash in Syria would pit Russia directly against the U.S. Fears of war swept Russian newspaper headlines and TV news, with commentators discussing the darkest possible outcomes, including a nuclear war.